offset printed booklet, stapled, 16 pp. 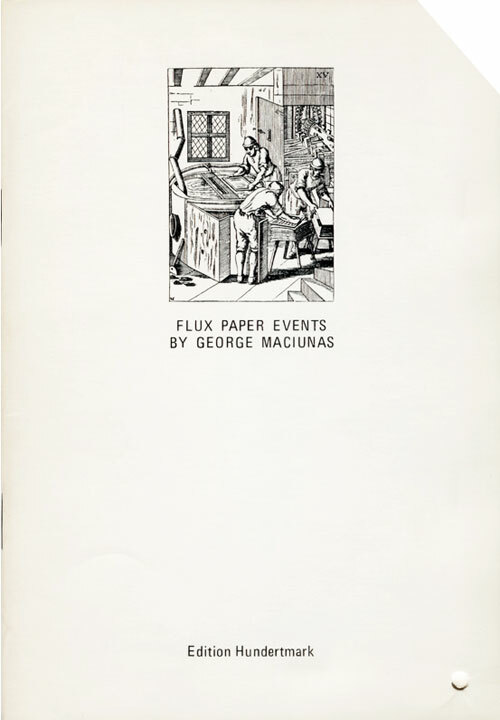 ‘Flux Paper Events’ is an artist’s book (stiff cover) with various worked out pages: cut, stained, crumpled, torn, stapled, perforated and folded. See Marinus Boezem’s artist’s book ‘Paper Events’ made six years earlier in 1970.